« Book or Movie: Which Do YOU Like Better? I’m not sure whether Shakespeare outlined his well-known literary works, but I do know that many of today’s authors do, and they swear by the results. The advanced creative writing course I took a few years back incorporated outlining into the assignments. Yet many authors consider themselves practically allergic to outlines. Ask a roomful of writers the question of, “To outline or not to outline?” and you’re sure to spark a lively debate. Supporters of outlines say that sketching out the characters, key scenes, conflicts, and climax beforehand makes the writing process go more smoothly. But others say that outlining kills creativity. Famously, in his book On Writing, Stephen King wrote, “Plot is, I think, the good writer’s last resort and the dullard’s first choice. The story that results from it is apt to feel artificial and labored.” Wow. I tend to take the middle ground in this debate, since I’ve written with and without an outline. Whether or not I outline really depends on my mood, and how easily the storyline takes shape in my mind. When I discovered I loved storytelling as a child, I would write my “books” sans outline, i.e. organically (as author Steven James would say). Vivid short stories full of twists and turns would spring across the page. I continued to write organically until adulthood, only using an outline when a teacher demanded it. My first published novel, Unlucky 13, was written entirely without an outline. However, I was introduced to helpful outlining techniques when I took an advanced novel-writing course. 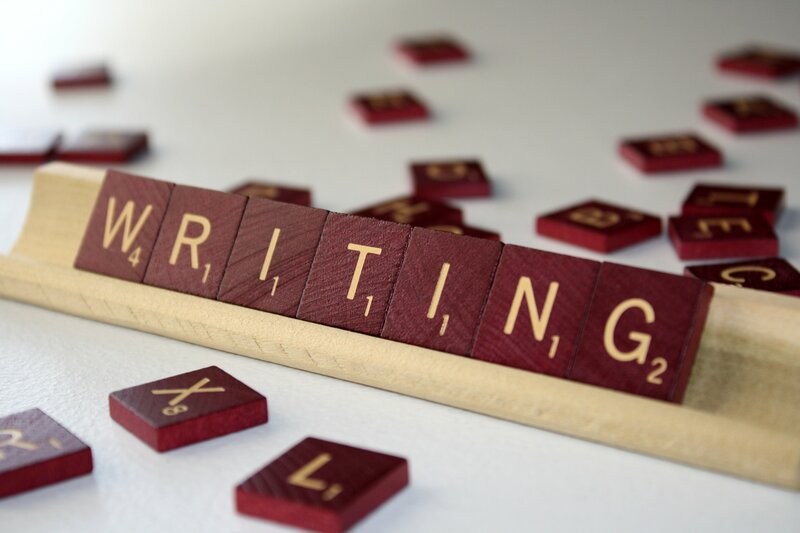 For me, taking writing courses was much like honing any other natural talent: I went in thinking I was much better than I actually was, had my world rocked and hit periods of insecurity as I learned, and graduated full of enthusiasm and excitement. I realized that Unlucky 13 had a practically nonexistent story arc and meandered around too much, so I completely revamped it to make it more concise and relevant. Then, I wrote my next full novel, Winner, with the use of a chapter outline. My Amish fiction novellas have been a mixed bag: some I’ve outlined, others I haven’t. Mercy’s Fall, for example, was written right after I’d spent a month revamping Unlucky 13 and doing final revisions on Winner. It was difficult for me to switch gears from contemporary YA to Amish YA, and I also went to Lebanon, where I was relaxing more than writing. As a result, the writing process was, in a word, arduous, and outlining helped me to stay on track, flesh out the story, and, ultimately, finish it to the specifications of myself and my editor. By contrast, I’m now in the process of writing Book 4 of the Amish Hearts Series, Amish Valentine, and it’s going along famously — without an outline. The conflicts and plot twists are leaping into my brain with wild abandon, and who am I to stifle the creative process? Do you like to write organically, with an outline, or by using a hybrid of the two? Sometimes an outline, which I call a sketch, works for me with a longer work of creative nonfiction. I might make a sketch after I’ve started writing and already have several essays/pieces, and I want to map out how they might fit together and identify a theme/goal. That sounds like a great technique, fenfatale — especially in creative nonfiction. Best of luck to you in all your writing endeavors!